Not only does the NeoMax have a great name, but it offer outstanding protection. 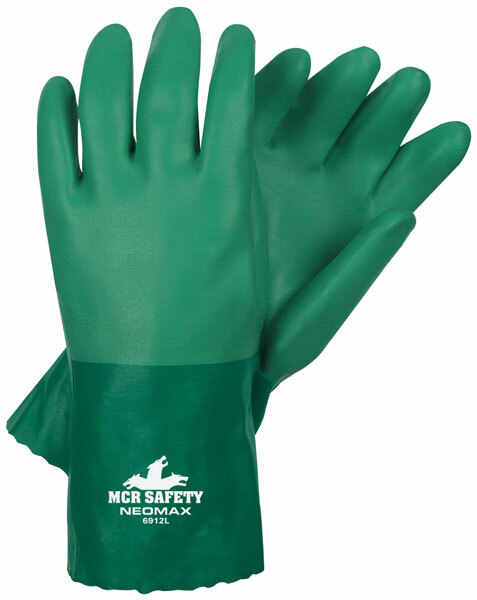 The 6912 features a 12 inch green double dipped glove with a brushed interlock liner. The sandy finish helps you get a grip and the lining is treated with ActiFresh® that will prevent bacterial build up and resist molds and mildew. Go to the Max with NeoMax™.